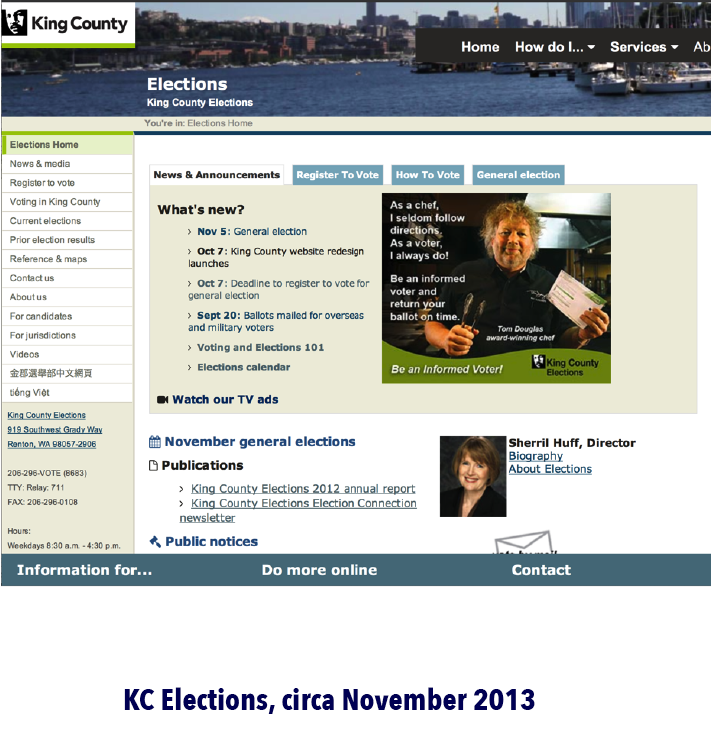 Kathy E Gill | Website redesign / King County Elections - Educator, WebUX, Writer. Rabble-rouser. 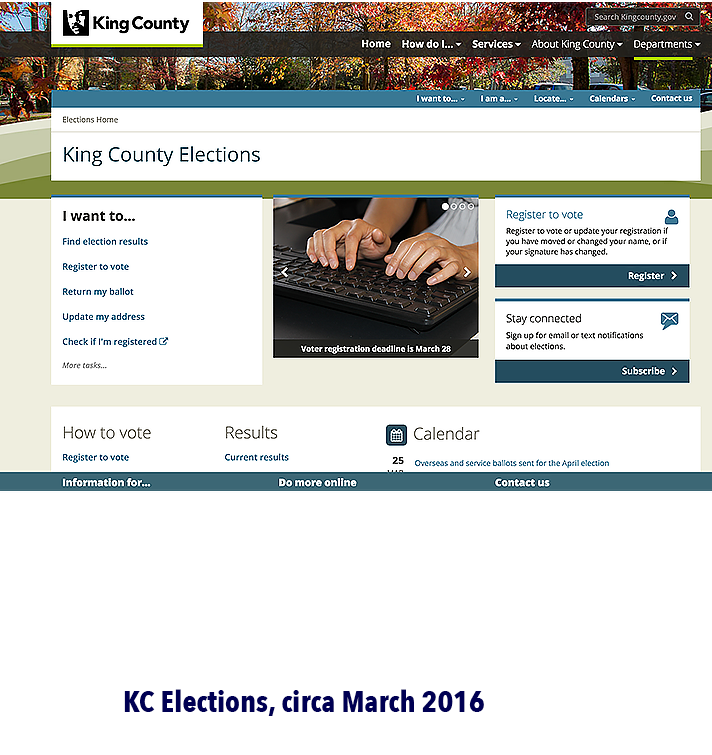 The King County Elections website has undergone three design changes under my tenure as webmaster. 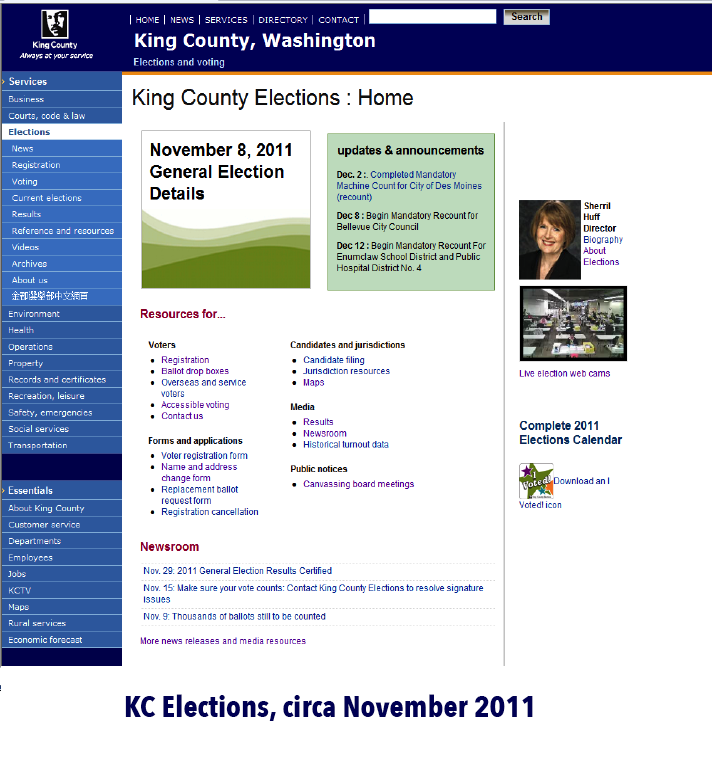 When I was hired in November 2011, the website redesign was a project priority. 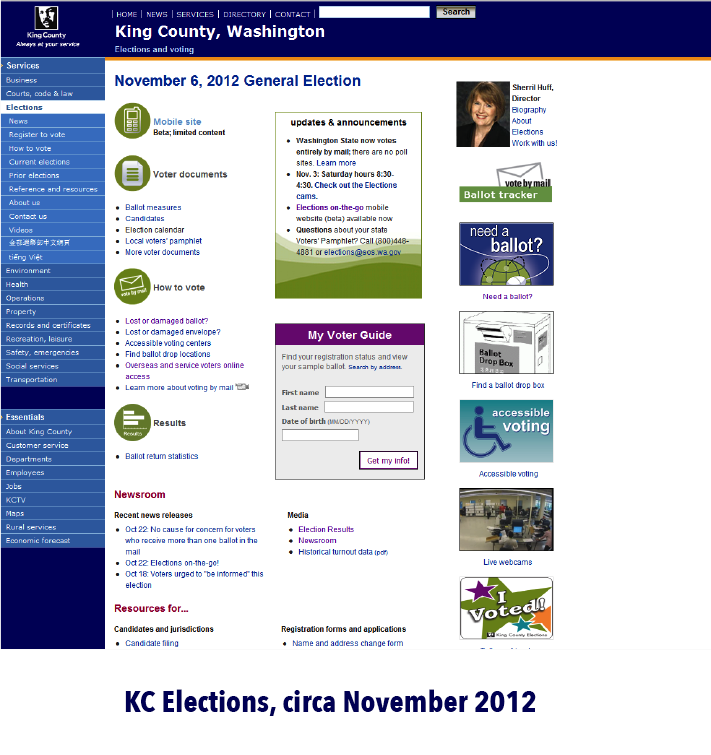 The county began a redesign process for the parent website in the second quarter 2012, and I became part of that process. We went through a full site assessment with persona development and baseline usability research in-lab. That was followed by design testing and refinement in-lab and in the field. 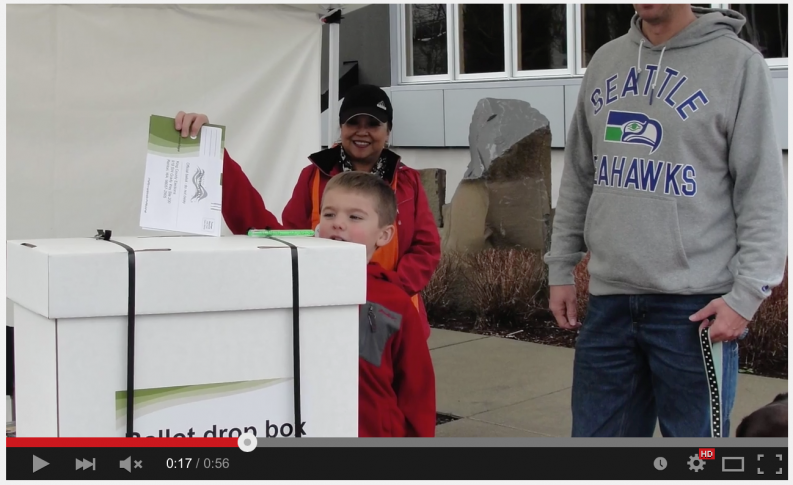 The county web team developed a set of templates that provided agencies with a two-step process towards migration. The first step was a bridge look-and-feel that did not require extensive modification of our content management system. This design did not provide a responsive design experience. The second step was a complete overhaul of the CMS templates which provide visitors with an experience linked to the device used to the website. Twitter Bootstrap is the responsive design framework. 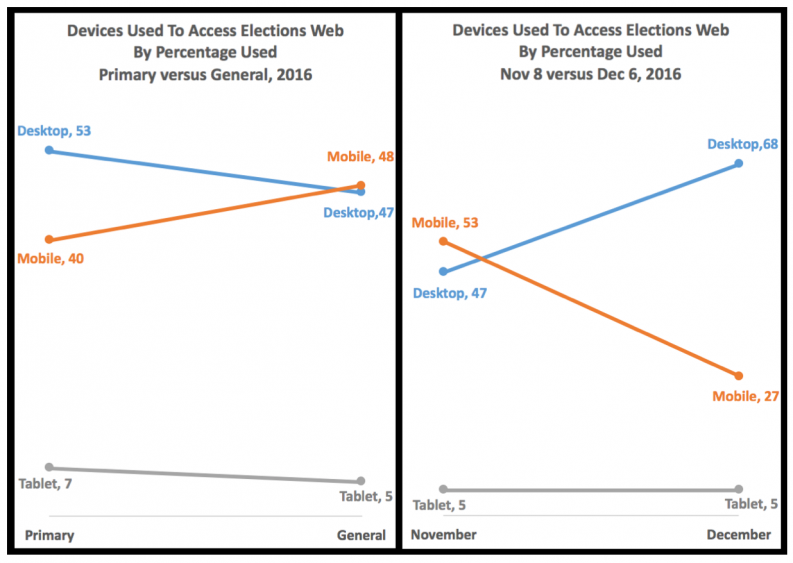 Because 2012 was a presidential election year, we redesigned the Elections home page in the fourth quarter as a first step in our redesign process. 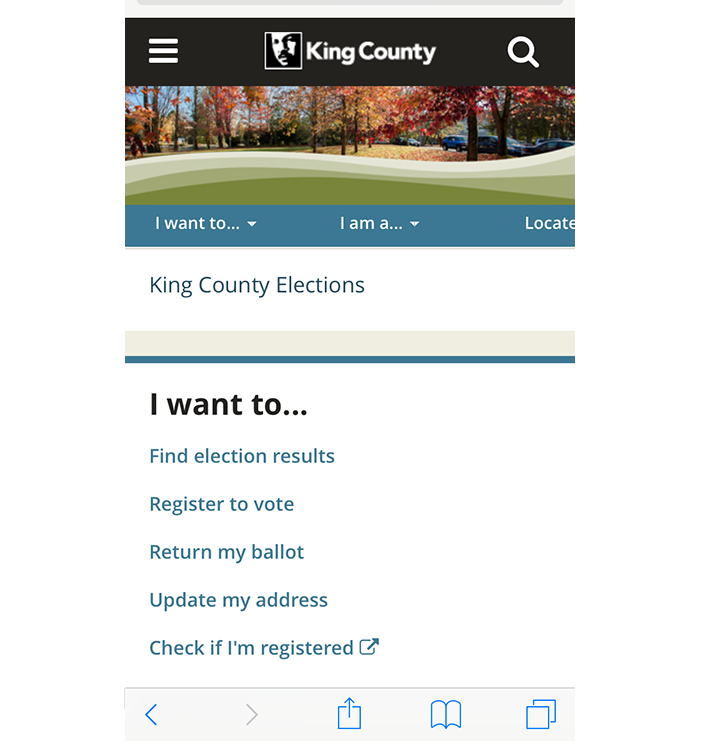 As part of this design, we performed a competitive analysis by examining other Washington state county elections websites as well as major metropolitan/county websites across the county. We launched our bridge or interim design site, which included only minor information architecture changes, fourth quarter 2013. We migrated to the Twitter Bootstrap templates in 2015. As part of the 2015 redesign, we hired a consulting firm to guide us as we restructured the site architecture.